Mac And Cheese Ramen Noodles Recipe – If you enjoy eating Mac and Cheese as well as Ramen noodles then why not combine the two and try out this Mac and Cheese Ramen noodles recipe? 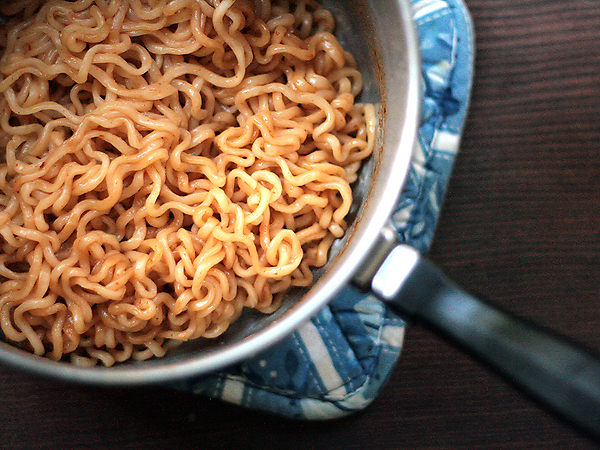 Using instant Ramen noodles is definitely a great substitute instead of using the typical macaroni elbows and personally, I think it tastes better. There are plenty of different ways to make Mac and Cheese Ramen noodles and this is just one way. You can also simply use an Easy Mac cheese package instead and just mix with the Ramen after you drained most of the water out. If you use the cheese package, there is no need to put it back into the microwave after.